Are you getting bored with school? Do you use Apologia's middle or high school science? Or do you use the elementary science series by Jeannie Fulbright? 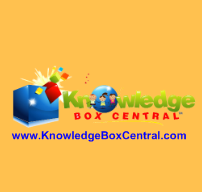 If you answered YES to any of these questions, then you MUST check out Knowledge Box Central (www.knowledgeboxcentral.com)! They have amazing product, including Apologia Vocabulary Flash Cards, Lapbooks, Lapbook Journals, and more. If you sign up for their newsletter, you will receive a $5 coupon code to use on their website.